Extra, extra, read all about it! Extra, extra, read all about it! I have got a secreeeettttt...*singing* Actually i have got two secrets. What are the secrets? I am not going to tell you....*singing* You have to wait for the big reveal. It is going to blow your mind...lol (actually it won't but.....it is still going to be a surprise). Oh by the way, did you guys see the dress that was trending today? Honestly it was trending all over the world. Even celebrities got involved. At first i saw white and gold, later i saw that it was very, very light blue and gold. 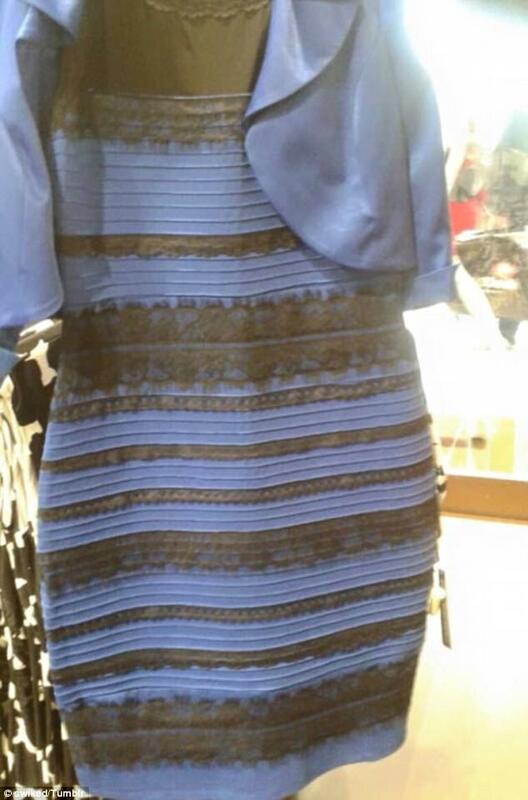 I showed it to my colleagues and they all said it was blue and black before they said blue and gold. I was so teased today. My senior colleague told me to wear his glasses so that i can see well. I was more than teased. But i don't care what anybody says that dress in the picture is white and gold, even if the dress is truly blue and black when seeing it on the hanger.